The service uses Jupyter notebooks (previously known as IPython), a format that allows you to create documents with live code and visualizations. Jupyter is pretty well-known in the data science world, and a thriving ecosystem has grown around it, which should make getting started with this new Google tool easier, too. To visualize this data, developers can use Google Charting or the matplotlib Python library. 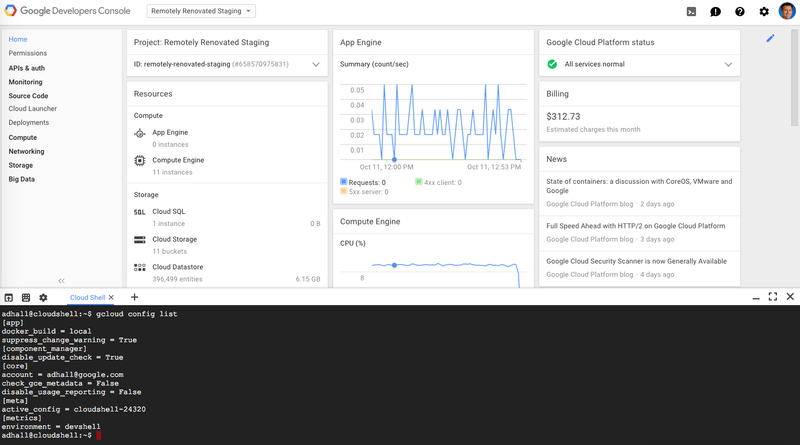 To get started, you have to first deploy Cloud Datalab as an App Engine application — and that’s also where the cost for using the service will come in after the free beta period (Google hasn’t released pricing information yet). Once that’s done, you can start a new project and set up new notebooks; the service will come with a number of pre-installed notebooks to help you get started. There is some overlap between Cloud Datalab and business intelligence tools like the recently announced Amazon QuickSight, for example. For the time being, though, it seems like Google is neither billing this service as “business intelligence” nor is it gearing it at non-technical users. What’s cool here is that Datalab is open source, and developers who want to extend it can simply fork it and/or submit pull requests on GitHub. In addition to Cloud Datalab, Google also today launched Google Cloud Shell, which gives developers command-line access to their compute resources on Google Cloud Platform from the Google Developers Console. 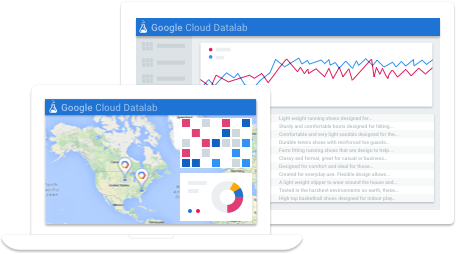 Access to this new shell is now available to all developers on Google Cloud Platform . The shell is powered by a temporary Compute Engine virtual machine with 5 GB of persistent storage and access to the Google Cloud SDKs and other tools.